Primate Expertise (PEx) celebrated the last International Day of the World’s Indigenous Peoples with the pygmy community at Buyungule and Chahoboka villages. 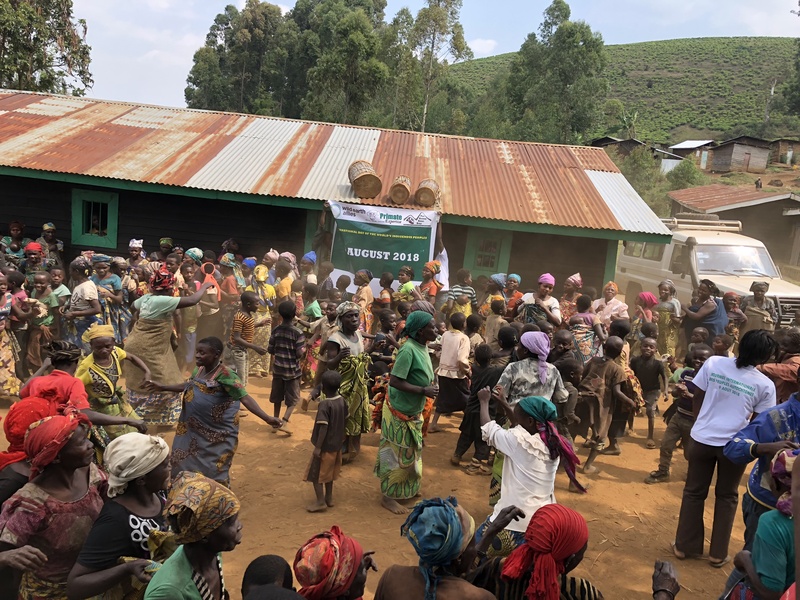 Primate Expertise staff rejoicing with pygmy community from Buyungule village during the celebration of The International Day of the World’s Indigenous Peoples event. 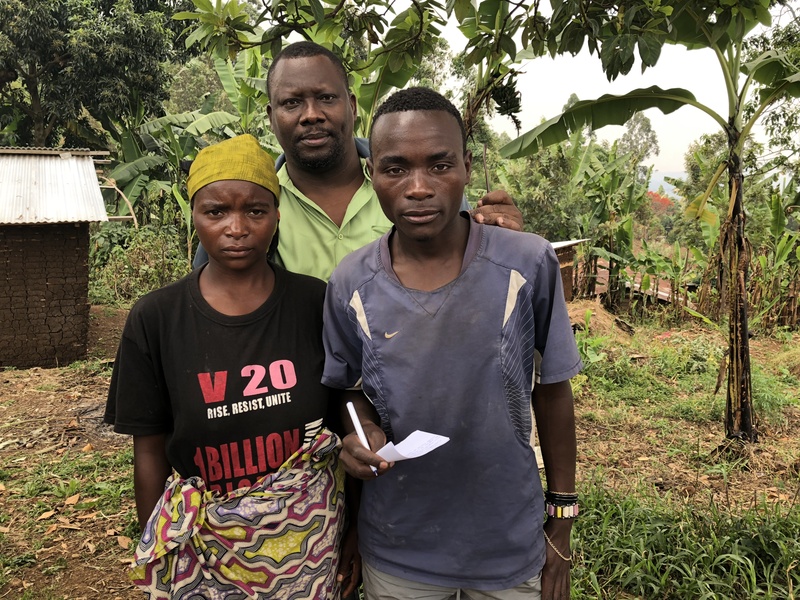 During the celebration, Mrs Nzigire Ntavuna, one of the women supported by PEx in Guinea pig breeding and in gardening at Buyungule (Protecting Grauer’s Gorillas, Collaborating with Pygmy Communities ) introduced to PEx her son Safari Cibulula Junior, who recently got his high school diploma in Education. This is a state qualification allowing him to go to the university. The major wish of this young motivated boy is to continue his education at the University by doing Law studies so that he becomes a Lawyer in the future. 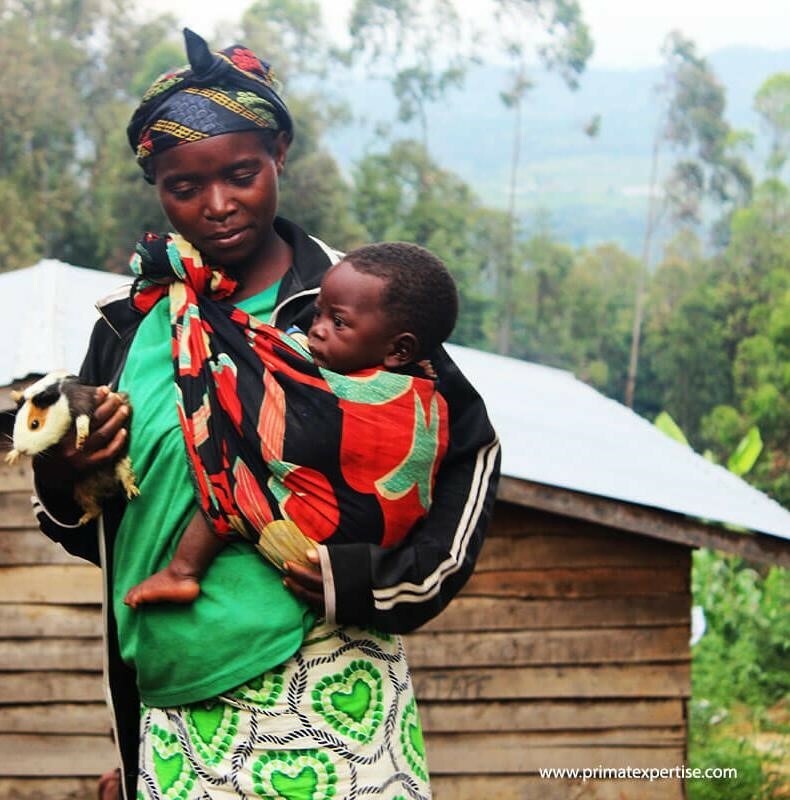 Left side picture: Mrs Nzigire Ntavuna holding a guinea pigs in her hand with her baby last born aside. Right side picture: Mrs Nzigire Ntavuna stands with her first born Safari Cibulula Junior (with PEx Executive Director behind) attending the last International day of the World’s Indigenous Peoples celebrated with PEx members on 9th October 2018 at Buyungule village. The main goal of Mr Safari is to plead for the marginalized pygmy community to whom he belongs by defending their rights.Unfortunately Mr Safari belongs to a poor family which can’t afford university fees, needing therefore a financial support. We thus call for an urgent support to this young boy to enabling him achieve his career dream “first pygmy lawyer”.